Why aren’t HIV prevention pills going to the people who need them? But the last four years has seen a shift in attitude. More and more Americans are embracing pre-exposure prophylaxis (PrEP), the HIV prevention method that requires a daily dose of Truvada to reduce viral risk. 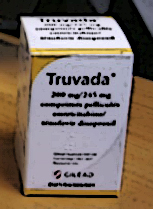 And more and more prescriptions are being written for the antiretroviral drug. While PrEP is growing in popularity, a new study out of the University of California released last month suggests that the populations most at risk of HIV infection are not the ones benefitting from the prevention strategy. In a survey of gay and bisexual men in California, only a handful of participants reported having taken PrEP. PrEP use was highest among young white men, at 13.9 percent. For young Latino men, that figure was cut by more than half, while young black men represented less than 10 percent of people who started PrEP. This entry was posted in PrEP, Prevention, Stigma on October 26, 2016 by administrator.